Dismissing parents as unavailable or uncooperative will never help schools to foster better engagement. If we want them to get involved, there has to be trust! 'Hard to reach’ suggests that the problem lies squarely in the parent’s court: the school is fine, but they are being difficult. In fact, research has shown that schools are often as culpable as parents for poor relationships (Crozier 1999, Crozier 2001, Crozier and Davies 2007, Harris and Goodall 2007). Many parents complain of feeling undervalued, misunderstood and even disregarded by school staff, particularly if there are cultural differences. The implications of ‘hard to reach’, whether describing parents or schools, is unhelpful. It feeds into a deficit model of parents and parental engagement (Valencia, 2010 and Valencia, 2012), which rests on the presumption that parents are either disinclined to (or incapable of) getting involved in their children’s learning, or are not involved in the right way. refuse or ignore phone calls. However often schools encounter this disengagement, research has shown us that it’s often based on parents’ prior experience of education, and may have little to do with the current school (Harris and Goodall, 2007 and Goodall, 2017). Consider a large secondary school – they can often be confusing, intimidating places for any visitor, particularly one whose own experience of education has left them feeling anxious and worried. It may be that schools are looking at the wrong things. We tend to look for signs of ‘involvement with the school’ (Goodall and Montgomery, 2013). These activities – coming into school, attending parents’ evenings, helping with reading in school – are all well and good, but what impact do they have on attainment? Something I often ask staff is why they think it’s important to meet parents on the school grounds, or indeed to meet at all. We know that there are some parents who will find it very difficult to visit the school or engage with staff. As I’ve mentioned, this is often down to previous experiences with education. It may not be that parents are ‘hard to reach’, or more importantly, that they are uninterested in their children’s learning and education. We know that what can make a difference to children’s learning is the attitude toward education in the ‘home learning environment’ (Desforges and Abouchaar, 2003, Sylva, Melhuish et al., 2008). But the question remains: how can we support the parents we no longer call ‘hard to reach’? 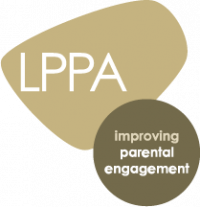 The first step is to concede that there is no hard and fast link between parents’ participation in school life and their engagement in children’s learning – the two can certainly support each other, but the first is not a pre-requisite to the second. The next step is to think carefully about how we can foster this ‘home learning environment’. I’ve added some suggestions below that have worked well in other schools, but do adapt as necessary. The final point is perhaps the most important, and the starting point for all work with families. Let parents know that you want to support their children as well as you can and you want to help them to do the same – and you need their support, as well. Building a relationship on that basis of trust is the most important part of schools’ engagement with parents. After all, that’s the whole point of the exercise. Add a ‘weekly thought’ to your newsletter, sharing something that the children had been learning that week, with prompts about conversations parents might have around that topic. Crozier, G. (2001) 'Excluded parents: the deracialisation of parental involvement' Race, Ethnicity and Education 4 (4): 329-341. Goodall, J. (2017). Narrowing the achievement gap: parental engagement with children’s learning. London, Routledge.